Natural Cork sold by the linear foot. Available in 1/4″ thickness and 4′ wide. 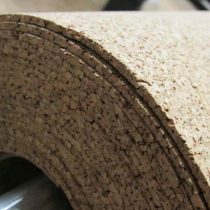 Rolled cork used for crafts, bulletin boards, floor protection, and many other projects.